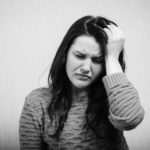 We all know the debilitating effects of a bad headache, but luckily most of us don’t have to suffer them too often. they are a frequent occurrence and using pain medication to get through them doesn’t acutally tackle the underlying cause. cycle or the early stages of pregnancy, dehydration, eye strain from staring at a computer, muscle tension in your neck and shoulders or the stress of a complicated and busy life! There may be some things that you can’t change about your work or home life but if muscle tension in your neck and shoulders is part of the problem there are some positive steps that you can take to treat this yourself at home. Which muscles can cause headaches? There are number of muscles in the neck which when they become tense can develop trigger points which can refer pain to different parts of your head. One of the major culprits of head pain is a muscle called sternocleidomastoid. This is a thick muscle at the front of your neck which runs from the base of your scull, just behind your ear, to the point where your collar bones meet in the centre of your chest. To treat trigger points within this muscle you simply need to squeeze it between your thumb and curled fingers in a pincer grip. It is easier to grab hold of the muscle if your head is tilted towards the side that you are treating. As you work your way along this muscle squeezing different sections you will find that some points are tender and you might also feel pain referred to different parts of your head. When you find such a point, hold it so that the pain is easily bearable and just hold it for about 20 seconds and you should start to feel the pain subside as the muscle begins to let go. You can go back and treat this point two or three times and each time the pain should reduce. Another muscle that can harbour trigger points that refer pain to your head are the sub-occipital muscles, the tiny muscles located just below the base of your skull. You can apply pressure to these muscles up using a spiked massage ball. Use the ball up against a wall on lying on your back on the floor to apply gentle pressure to any tender points along the base of your skull. Hold for 5–10 secs until the pain begins to reduce. If you tend to clench your jaw you might find that this is an area where you hold tension. You can ease this by massaging the chunky masseter muscle that runs between your cheek bone and your lower jaw bone. You can massage this muscle using circular motions on the outside of your jaw to encourage it to relax. You can again treat any trigger points lurking in this muscle by gently pressing into it the muscle and holding pressure on any tender spots. Hopefully you will find these self-massage techniques a useful tool for easing your headaches, but just aquick word of warning … you are pregnant or if your symptoms persist for several days it is advisable to see your GP or midwife. What are the typical symptoms of fibromyalgia? Young or old, male or female, Fibromyalgia is a chronic muscle pain condition that can affect anyone. Our patients who have fibromyalgia often describe their pain as being felt in lots of different parts of their body at the same time or moving from one place to another. Poor quality of sleep, reduced mobility, anxiety and depression are also common features of this condition. Relief of pain – remedial massage techniques can be used to reduce muscle tension, relieve localised sore spots in the muscles (trigger points) and improve joint mobility. 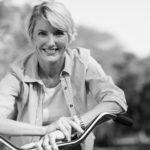 The type of techniques used should be tailored to your particular needs and as they will be different to others who have fibromyalgia and may even vary for you from day to day. Improved quality of sleep – treatments that are carried out in the evening will help you relax and boost your body’s production of serotonin, a hormone that helps you sleep. Improved quality of sleep will help your body to better repair itself and leave you feeling more rejuvenated in the morning and less fatigued throughout the day. Alieviating headaches – headaches can be triggered by muscle tension and pain coming from the neck and upper shoulders. This is common if you have fibromyagia. Therapeutic massage techniques to relieve muscle tension and pain can reduce the severity and frequency of headaches and give you a feeling of greater mental clarity. These are also techniques you can be taught to apply yourself at home. Reduced anxiety and depression – seeing a massage therapist who takes the time to listen and works in partnership with you can help with feelings of anxiety and depression.Therapeutic massage also significantly lowers blood pressure and helps reduce the physical effects of stress and anxiety. What type of massage is best for Fibromyalgia? Depending on how your symptoms are on the day, your treatment it is likely to consist of gentle relaxing strokes combined with slightly firmer pressure in areas where this feels comfortable and will be beneficial to you. Your massage therapist might use light trigger point work and incorporate myofascial release techniques. 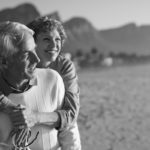 They may ask you to practice breathing exercises during your treatment to help you relax and these are great techniques for you to use between treatments at home too. It’s really important to see a remedial massage therapist who has experience treating patients with fibromyalgia, so they have a good understanding of your condition as communication and a flexible approach to your treatment is key. Please don’t hestitate to get in touch if you have any questions at all. Congratulations, you’re pregnant! You’re already looking forward to ‘pregnancy glow’, extra thick luscious locks of hair and being able to feel less guilty about eating chocolate cake. Unfortunately, there are also a number of less pleasant symptoms associated with pregnancy and alleviating them can’t always involve medication, now that you’re being more careful about what you put into your body. The good news is that for a natural approach, aromatherapy and the use of essential oils can be very effective. Insomnia – You might find you are exhausted but for some reason can’t sleep. There are a number of essential oils with sedative properties which you could use to help. Try a warm bath before bed with some candles and calm music and add the following relaxing blend: Two teaspoons (10ml) of grapeseed oil (you can use other base oils), 1 drop of neroli essential oil (Citrus aurantium var. amara (flos)) and 1 drop of sandalwood essential oil (Santalum album). Nausea – If you’re feeling nauseous during the first trimester you can try putting a drop of ginger (Zingiber officinale) or peppermint essential oil (Mentha piperita) on a tissue that you can carry around with you and smell whenever you start to feel queasy. This should make you feel more refreshed, clear your head and help to block out any smells that have triggered your spell of nausea. Constipation – The pregnancy hormones running through your body, along with a reduction in space for your digestive system, can cause digestion to slow down and lead to constipation. To help relieve this try doing some gentle abdominal massage in a clockwise direction using the following massage blend: Two teaspoons (10ml) of grapeseed oil, 1 drop of sweet marjoram essential oil (Origanum marjorana) and 1 drop of sweet orange essential oil (Citrus aurantium var. sinensis). Spots – You signed up for a healthy glow and instead you got teenage acne! Don’t despair. Try using this blend of anti-microbial and astringent essential oils in a fragrance-free base lotion or facial wash to try and combat them: 10ml of base lotion or facial wash, 1 drop of petit grain essential oil (Citrus aurantium var. amara (fol)) and 1 drop of lemon essential oil (Citrus limonum). Itchy skin – This particular symptom can be irritating but shouldn’t be ignored during pregnancy ns you should make sure you mention it to your midwife. If she’s happy that there are no serious underlying causes, you could try using the following blend as a body moisturiser: 10ml of jojoba oil or fragrance free balm, lavender essential oil (Lavandula angustifolia) and 1 drop of German chamomile (Matricaria recutica). Headaches – This is another symptom that can be brought on by changes in hormones or muscular tension, but again make sure you talk to your midwife about your headaches if they are frequent and/or intense. To try and ease a headache, rather than reaching for the paracetamol try a cold compress using 100ml of cold water, 1 drop of lavender essential oil (Lavandula angustifolia) and 1 drop of peppermint essential oil (Mentha piperita). It is important that the oils you are using for self-treatment are not only effective but are pleasant to you. 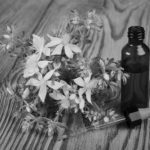 If the above blends don’t appeal, getting in touch with a qualified aromatherapist who can tailor a blend to your personal needs and preferences is always a great idea. Most people know having a regular massage is great for our physical health, but did you realise that it can also be a valuable tool for helping to maintain good mental health? Massage therapists are well aware of the link between body and mind and the impact that one can have on the other. For example, many persistent pain conditions are closely linked with stress and anxiety. This becomes a vicious cycle when muscle tension – often in the shoulders and neck – associated with being anxious or stressed causes pain and so the cycle continues. Stress and anxiety also causes your body to produce a chemical called cortisol. This has the effect of making your nervous system more active, like turning up the volume on a radio, so your experience of pain is likely to be greater if you are stressed or anxious. Therapeutic massage not only helps to relieve any physical pain and reduce muscle tension but it also helps to lower your blood pressure and boosts your bodys production of a hormone called serotonin ( a horomone that reduces the release of cortisol). This has an immediate and positive effect on both physical and mental health and reduces sleep disturbance. Massage helps your body to return to a state of feeling safe and relaxed and gives you some time to tune out the chatter of your mind. It’s a positive, nurturing experience for your whole system which will leave you feeling mentally clearer, with renewed energy. In modern society there are also many people who are rarely touched physically and this can have profound emotional consequences. The emotional benefits of a massage can be intensified by having a treatment with a therapist who is also a qualified aromatherapist. A personalised blend of oils might be recommended for their individual pharmacological properties when absorbed through your skin or by stimulating the emotional centres in your brain (limbic system) through your sense of smell. This blend of oils can be provided with an inhaler, so that the powerful emotional associations we all have with smell can be used as a tool at other times to help you relax and remain calm. The Cambridge Massage Therapy team. You might think of having a massage as just a treat, but having massage during pregnancy is not only good for you but also your baby. Here are four very good reasons to invest in some pregnancy massages during this special time. Your body is naturally changing shape and some of your muscles, like your abdominals, become less able to work properly as your baby grows so others will have to work harder to support you. This can lead to muscular aches and pain of varying severity. For some women this might be niggling shoulder or upper back tension, others might experience lower back or pelvic girdle pain. A massage therapist who specialises in pregnancy massage will be able to position you safely and comfortably and treat your symptoms effectively to relieve muscular pain and enable you to move more freely. Pregnancy marks the beginning of a huge change to your life both at work and home and this can feel stressful, no matter how excited you are. The most common physical effects of stress include increased blood pressure, the release of stress hormones (cortisol), muscle tension and poor sleep. Therapeutic massage during your pregnancy can significantly lower blood pressure, increase your body’s production of serotonin (a hormone that hampers the production of cortisol) and help you sleep better. This is good for both you and your baby. Having a massage gives you time to simply reconnect with your body and the movements of your baby. Gentle abdominal massage carried out by a therapist or by yourself, your partner or your children, is a lovely opportunity to bond with your baby as you feel their movements and reponses to the massage. Massage is not only a fantastic tool for pain relief during labour, but can also help you beforehand to prepare physically and to learn how to stay calm and focused. It’s a fact that mothers who have been massaged during pregnancy have a reduced length of labour, with less need for medication. If you’re thinking about having a pregnancy massage or buying one as a gift for a friend, we couldn’t recommend them more highly to you. Please don’t hesitate to get in touch if you have any other questions.